The Company was founded in 1984 and in 1986, opened its laboratories at 180 Varick Street in New York City. In its early years, the Company focused on immunology-based diagnostics and infectious disease vaccines. This focus resulted in two FDA approved diagnostics and several vaccine research programs, all of which have been licensed to pharmaceutical companies. During the early 1990s, the Company's focus shifted from diagnostics and infectious disease to the development of a pipeline of innovative, biologic compounds in the area of oncology. From this pipeline, the Company markets ERBITUX (Cetuximab, anti-EGFR mAb), which received its first FDA indication approval in 2004. On October 25, 2006, a group led by billionaire investor Carl Icahn acquired a majority of stock thereby giving him control of the board. Within hours of the announcement, interim CEO Joseph Fischer resigned, and Icahn announced that other members of the Board of Directors would not be re-elected. On July 31, 2008, Bristol-Myers Squibb offered to take over ImClone for $60 a share cash. The offer was made by letter addressed to ImClone's chairman of the board, Carl Icahn. On September 10, 2008, an undisclosed company and CEO offered to take over ImClone for $70 a share, financing approach was not disclosed. The offer was conditional on the results of a due diligence review of ImClone's business and technology by the undisclosed party, to be completed September 28, 2008. On September 23, 2008, Bristol-Myers Squibb upped its offer to take over ImClone to $62 a share. In addition, Bristol threatened to take the offer to the share holders for a proxy battle with the intention of replacing the current Board of Directors headed by Carl Icahn. On October 6, 2008, ImClone agreed to be acquired by Eli Lilly for $6.5 billion ($70/share). On November 24, 2008, ImClone was formally acquired by Eli Lilly, with all NASDAQ IMCL shares tendered for $6.5 billion ($70/share). ImClone is now a fully owned subsidiary of Eli Lilly and Company. 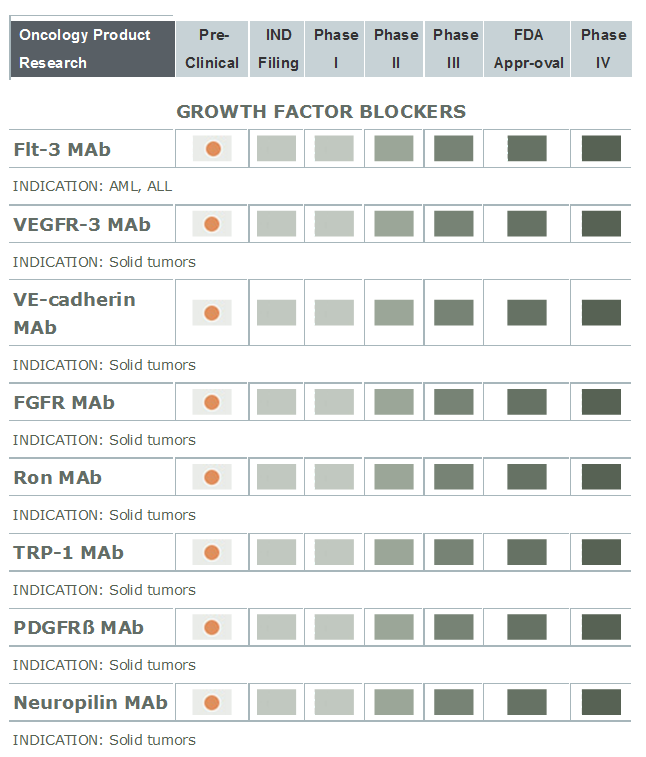 On 21 April 2014, a drug developed by ImClone, tumor angiogenesis inhibitor Cyramza (Ramucirumab，LY3009806, IMC-1121B) was approved by the FDA for gastric cancer. Cyramza (Ramucirumab) is an anti-VEGFR2 monoclonal antibody (IgG1) developed for the treatment of solid tumors. By binding to VEGFR2, Cyramza (Ramucirumab) works as a receptor antagonist blocking the binding of vascular endothelial growth factor (VEGF) to VEGFR2. VEGFR2 is known to mediate the majority of the downstream effects of VEGF in angiogenesis. On September 26, 2013, the manufacturer Eli Lilly announced that its Phase III study for Cyramza (Ramucirumab) failed to hit its primary endpoint on progression-free survival among women with metastatic breast cancer. In June 2014, a phase III trial of the drug reported Cyramza (Ramucirumab) failed to improve overall survival in liver cancer. In Feb. 2016, it was reported that a phase II trial of adding Cyramza (Ramucirumab) to docetaxel improved progression-free survival (PFS) compared with docetaxel alone in locally advanced or metastatic urothelial carcinoma. It is now in the RANGE phase III trial for this indication.